We had the pleasure of taking part of the Otepää Ironman 70.3 in both 2016 and 2017. Would we recommend it? You bet. It is brilliantly organised, by a former professional triathlete, Ain-Alar Juhanson, and you can tell from the attention to detail that an experienced athlete is in charge. All the organisers, from the race director to the volunteers, are incredibly friendly and willing to do anything to make the athletes’ experience a good one. The race venue is the Pühajärve lake which just outside Otepää, a small town in the southern Estonian hills. It is well-known as a winter holiday destination, with skiing and snowboarding. It is a beautiful area of forest, rolling hills, small rivers and lakes. The swim is one loop in Pühajärve lake, from a sandy beach, round an island and back. The water temperature is around 20 degrees. The bike course is undulating – never flat but with no big hills, with a total climb of 650m. (GPX file here.) The course is out-and-back-twice, from Otepää to Kanepi, so you can always see other athletes coming in the other direction. The road surface is excellent, and the roads are closed to traffic. The run is more challenging than it may sound at first. It is two laps of the lake – but you are on closed country lanes rather than the lake shore, and there is one memorable hill (which you run up twice), and a couple of smaller ones. The race atmosphere is relaxed. The race venue is the gardens of a spa hotel, on the shore of Pühajärve lake, about 2km down the hill from the town of Otepää. There is a small expo, music playing and people lounging around on the grass, while the hotel bar does a brisk trade. The transition area is on the hotel tennis courts. There is a sound stage with live music in the evenings, and lots of other events going on (a 5km race, a children’s race, swimming races, etc) for the whole weekend. As well as a big Estonian contingent, there are lots of international visitors, from Russia, Latvia, Denmark, Germany, the UK, and from further afield. If you like to stay near the race venue, stay in Pühajärve Hotel or GMP Clubhotel, both of which are very comfortable and very close to the race. There are also hotels nearby in Otepää. The main airports are Tallinn and Riga – both are a pleasant 2h30 drive from Otepää. The race organisers will arrange transfers from either city or airport. There is also one flight a day between Helsinki and Tartu (Estonia’s second biggest city, which is about 45 minutes by road from Otepää). There is a train between Tartu and Tallinn, which is comfortable, cheap, and also takes about 2h30. Book online. (You’ll need to arrange a transfer between Tartu and Otepää). In 2016, the day began with a mist over a perfectly calm lake. The day was overcast, and it had rained the day before. I finished in 5h23 – my fastest Ironman 70.3 to date, despite finding the run much tougher than I expected. In 2017 it was blowy. The swim was choppy, especially on the other side of the island, and sighting the buoys was harder than the previous year. The headwind on the bike slowed me down by 5 minutes, even though I’m probably more bike-fit. But I managed the run better, conserving energy and running the whole thing. My training has been sketchy this year, and I was recovering from a cold. I finished in 5h29 – a bit slower in the swim and the bike, but quicker on the run than the previous year. And I managed to get a slot for the Ironman 70.3 World Championships in South Africa in 2018! 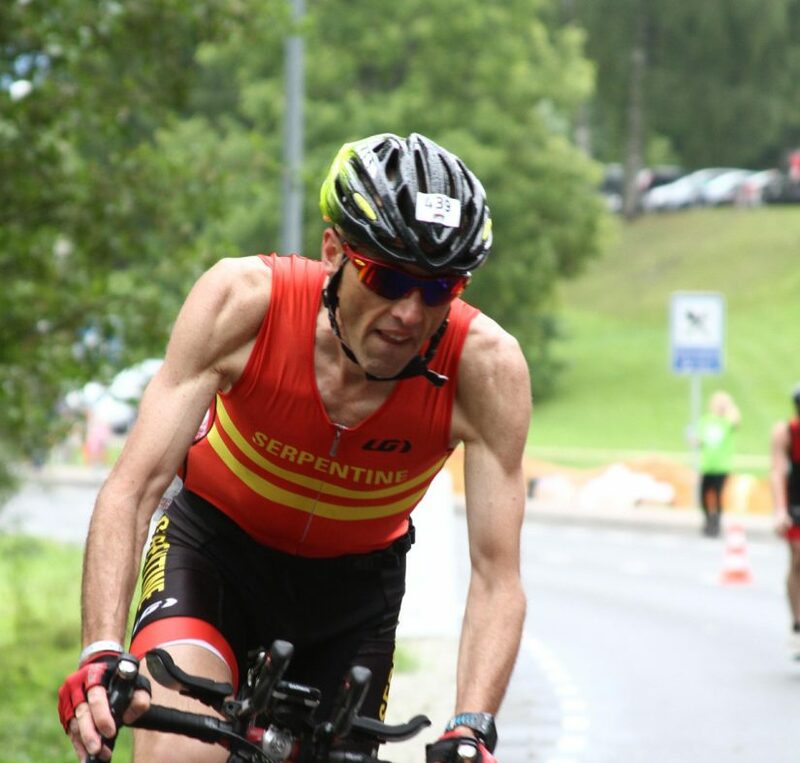 The post Otepää Ironman 70.3 Race Report appeared first on Owen abroad.